Samsung heir Lee Jae-Yong has become a criminal suspect in a widening probe into the corruption and influence-peddling scandal engulfing impeached South Korean President Park Geun-Hye. Lee is vice chairman of Samsung Electronics and the son of the Samsung Group chairman Lee Kun-Hee. He is set to quizzed as a "suspect" in connection to bribery, South Korean prosecutors said. The affair centres on Park's secret confidante Choi Soon-Sil, who is accused of using her ties to Park to coerce top firms into "donating" tens of millions of dollars to two non-profit foundations which Choi then used as her personal ATMs. Samsung was the biggest contributor to the foundations. It is also accused of separately giving millions of euros to Choi to bankroll her daughter's equestrian training in Germany in a bid to curry favour. Prosecutors have for months questioned Lee and other senior Samsung officials. The officials reportedly argued that although they were coerced to offer money, they sought no favours in return and thus the payments were not a bribe. Spokesman Lee said prosecutors "left open the possibility" of formally arresting the Samsung chief later. The merger of two Samsung group units - Cheil Industries and Samsung C&T - was seen as a crucial step towards ensuring a smooth third-generation power transfer to Lee Jae-Yong. 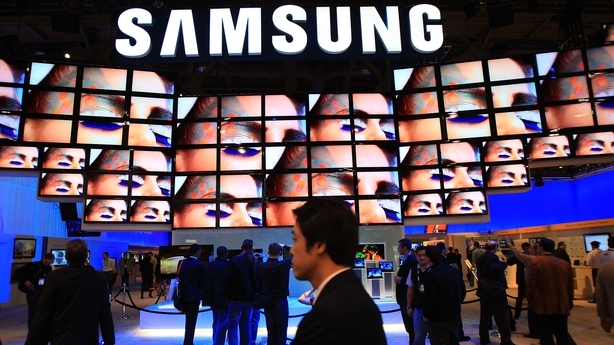 It was criticised by many, who said it wilfully undervalued Samsung C&T's stocks. But the National Pension Service (NPS) - a major Samsung shareholder - voted in favour of the deal and it eventually went through. Prosecutors have raided multiple Samsung offices as well as the NPS in connection with the scandal. The fund - the world's third largest pension fund - is overseen by the welfare ministry in South Korea. A former welfare minister was arrested last month for allegedly pressuring NPS officials to vote in favour of the Samsung deal. Park, who stands accused of colluding with Choi to extract money from the firms, was impeached by parliament last month but denies any criminal wrongdoing. South Korea's Constitutional Court is currently reviewing the validity of her impeachment - a process that may take up to six months. If the court approves the impeachment, a presidential election will be held in 60 days. Choi is on trial for charges including coercion and abuse of power. The latest scandal shed light on unhealthy ties between the government and the powerful family-controlled conglomerates that have powered South Korea's economy for decades. There have been frequent scandals in which top managers at the conglomerates, known as chaebol, bribed officials to curry favour. The founding families of the conglomerates have also become the targets of growing public mistrust. They are accused of running their global businesses with minimum scrutiny by regulators and investors. The Samsung group - the South's largest business empire - has a vast array of businesses including its flagship Samsung Electronics, the world's largest maker of smartphones. 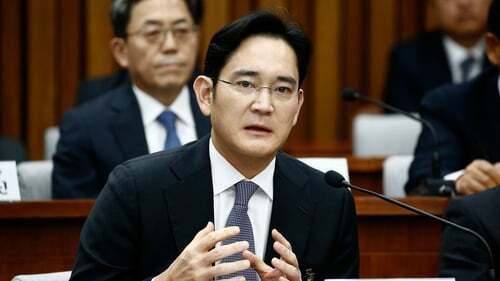 The group's founding Lee family has stepped up efforts to accelerate the power transfer to Lee Jae-Yong after his father suffered a heart attack in 2014 that left him bedridden.